Numerology is the occult study of numbers which attempts to explain the existence of everything in nature as reducible to numbers, and that all numbers follow the natural law of mathematical progression. The idea being that all things in nature evolve in cycles and mathematical progressions which are measurable and predictable. To numerologists, everything in the world is dependent upon the mystical properties of numbers and these properties come from the numbers' inherent vibration which gives it certain unique properties. Numbers are fundamental to measurement and to the expression of abstract ideas. The observance of sequential numbers and cycles suggest the idea of predictability, which is the basic idea behind Numerology. A number of ancient thinkers believed that mathematical concepts were more practicable than physical ones and therefore everything had numerical relationships as an integral part of the cosmic plan that progressed in predictable cycles. Pythagoras , the ancient Greek mathematician, developed his theory of numbers based on the idea that everything progressed in predictable cycles and those theories are the basis of all natural law today, as well as providing the foundation for the occult idea of Numerology, though the actual origins of numerology predate Pythagoras such as seen, for example, in the dictums set forth in the ancient Hebrew Kabbalah and in the symbolism of Sacred Geometry. Pythagoras’ idea deals with rational numbers, specifically the integers “1’ through “9”, (the abstract concept of “0” not yet having been postulated), and assumed a relationship with respect to the idea that letters of the alphabet, like everything else were assigned numbers relative to their mythical vibration and in its most mundane application.in a type of numerological divination, the name and birth date of an individual would be used to analyze and define personality and propensities and even as a prognosticator of the individuals fate. Fundamental to this concept is the so-called “reduction of numbers”, which means that one takes any number with two or more digits and reduces it, by adding each of the integers in the number to arrive at a total whose integers are then added again, until a single digit is obtained. 1 “Genesis”, aspects of creation and self and the male principle. 2 Aspects of gestation and union and the female principle. 5 Aspects of re-creation and the apex for change in the cycle. 6 Social consciousness and social balance. 7 Intellectual and spiritual development. 9 Fulfillment and universal consciousness. Later occult numerologists would incorporate the abstract “0” into numerology and bestow it with the mystical connotations of non-existence, non-being, the non-manifested, the unlimited perfect form as representing the Cosmic Egg within the primordial Void. But from the point of the popular occult practice of numerology “0” is not used and only rational integers (1-9) are considered in traditional numerological calculations. As this occult theory of Numerology is promoted, each number has a unique vibration giving it certain properties. These properties can shed light onto a person's behavior or predict whether romantic partners are compatible. 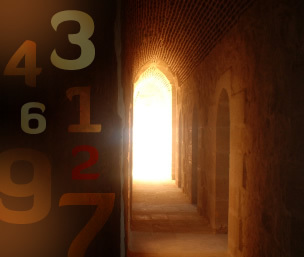 Numerological analysis can determine a person's lucky number or lucky day. Numerology is often claimed to be an effective method when it comes to playing such games like bingo, roulette, keno, lotteries and other games with numbers. Special tools called the Lucky number generators are used to find out person’s lucky numbers based on basic principles of this system. Though one might legitimately ask why so many so called "numerologists" make their living selling lucky numbers to others instead of using them to win for themselves. By comparing it to music, it is possible to explore the nature of mathematics, and its relationship to science. Mathematics in an abstract sense is a system of ordered and structured thought, similar to music and the development of a mathematical equation is inherently no different than the development of a musical composition. In fact present day physicists, in their search for the great “unifying theory” to explain the discrepancies between the the theories of general relativity and quantum mechanics have begun to center on what is called the "String Theory". An idea that all matter is composed of tiny strings that vibrate, like the strings of a violin, and produce the physical world we seem to see. But, let’s not get too far ahead of the story. Instead, let us go back to 13th Century Italy and a mathematician by the name of Leonardo of Pisa, better known today as “Fibonacci”. Fibonacci's father was a customs official in North African and Fibonacci grew up with an advanced mathematical education under the Moors and later traveled extensively meeting with many merchants and learning various systems of working with numbers. He soon realized the many advantages of the "Hindu-Arabic" system over all the others and he became one of the first people to introduce the Hindu-Arabic number system into Europe. The system we now use today, based of ten digits with its decimal point and a concept for the use of zero “0”, which was missing from Pythagoras’ system, as discussed earlier. His book “Liber Abbaci”; (Book of the Abacus or Book of Calculating), persuaded many of the European mathematicians of his day to use this "new" system. The book, in fact, established all the rules we all now learn in elementary school for adding, subtracting, multiplying and dividing numbers. 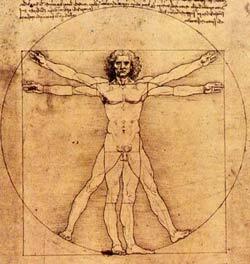 But, Fibonacci’s greatest achievement was in his revelation of what we now call the “Fibonacci Numbers”. In mathematics, the Fibonacci numbers form a sequence defined by following a recurrence relation. That is, after two starting values, each number is the sum of the two preceding numbers. The first number of the sequence is 0, the second number is 1, and each number after is equal to the two numbers before it added together. 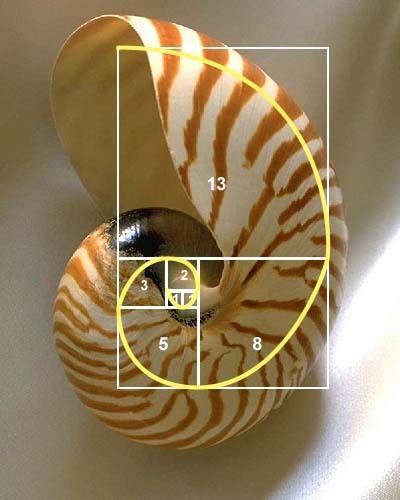 What is so significant about the Fibonacci Numbers is how amazingly that the Fibonacci number patterns occur so frequently in nature in flowers, shells, plants and leaves and even in the genetic tree of honeybees. This mathematical phenomenon appears to be one of the principal "laws of nature." The idea of defining nature in terms of mathematics goes back much further though, to the time of Plato and his concept of a planetary grid system. Plato theorized that the earth’s basic structure evolved from simple to complex geometric shapes and that these shapes, known today as platonic solids are associated with the Earth’s “prana” or “life-force”. The work continues today with a small but growing number of mathematical thinkers who are trying, through the application the principles of fractal geometry, to understand these mathematical “laws of nature”. 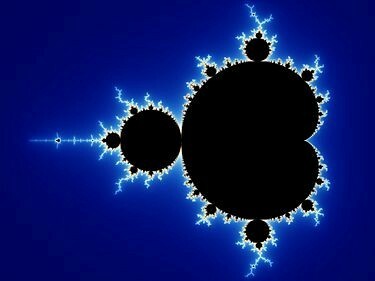 Simply, a fractal is a shape that, when you look at a small part of it, has a similar appearance to the full shape, (a property called self-similarity), and while fractals are a mathematical construct, based on an equation, they are found in nature in everything from snow flakes to blood vessels. Even something as large as a coastline can be seen as fractal in nature, as the late pioneering fractal mathematician Benoît Mandelbrot demonstrates in his paper How Long Is the Coast of Britain? Statistical Self-Similarity and Fractional Dimension. To those examining the mysteries of mathematics (and numerology) from the quantum perspective, fractal geometry as it appears in nature has a truly mystical, as well as scientific quality. To the mystic, the ultimate truth is that nothing exists on its own, everything is a part of everything else and one event cannot be isolated from other events and if we are searching for the limit of any isolated phenomena, we cannot find it. There is no beginning and no end. To the scientist, quantum mechanics demonstrates that the observer is a part of the event and when we zoom in and attempt to observe the limits of that event it will disappear into smaller and smaller parts, on into infinity, and when we zoom out from the event we observe that it is but a part of an ever enlarging phenomenon. There is no beginning and no end. So, basically, the information needed to understand nature and reality through mathematics is probably already there in front of us. We just need to recognize it and use it. When Einstein formulated his general theory of relativity he discovered that the necessary mathematics had already been developed in the previous century. Similarly the mathematics required for quantum theory had its origins in fundamental mathematics of the 18th and 19th centuries. And, when we come back to “String Theory” the mathematical tools of are already there. More importantly, according to some physicists, such as Fritjof Capra in his book, “The Tao of Physics” the mystical connection is there as well. This connection between abstract mathematics and the study of the physical and mystical worlds, no matter how improbable and “magical”, continues to amaze with its ability to be repeatedly demonstrated in nature. In the end, what is Einsten's "Theory of Relativity" but a revelation of the nature of the Universe expressed in a mathematical equation? In the Harry Potter novels, Hermione Granger's favorite subject is “Arithmancy”. As the name implies, “Arithmancy” is the use of the mystical properties of numbers in the invocation of magic and magical spells. This, more or less, is the idea that many practicing numerologists wish to propound as the basic “power” of Numerology, though often the only display they are often able to produce with their use of numerology is the magical transference of numbers from your bank account to theirs. But, as previously discussed on our webpage “Physics and Metaphysics” the division between the mystical occult and empirical science is never as wide as it may seem and the study of one, often flows to the other and then back again to where it began. In the ancient study of “Alchemy” the ancient alchemists, in their pursuit of the mystical “Philosopher’s Stone” sought to discover the secret of the transmutation of elements and the ability to turn base metals into gold. Which was a quest undertaken by no less of a promulgator of modern science than Sir Isaac Newton. Yet, while this seems to be on the surface superstitious nonsense it was these alchemists whose work led to the modern scientific studies of chemistry and physics and the idea that on some sub-atomic element this might not be all that impossible. In the early study of “Astrology” the ancient astrologers, in their quest to understand the mystical nature of the cosmos and man’s place in it, looked to the heavens for answers. They realized through their observations that there was a physical order to the heavens, as well as a mystical one, and that this physical order could be understood mathematically within the concept of sacred geometry. Astrology gave birth to astronomy, and with the work of Isaac Newton, astronomy gave birth to astrophysics. By the time David Bohm came along and with the idea that a quantum universe may in fact be dependent on consciousness, the idea that mathematics might be able to explain both the material and the spiritual universe became a distinct possibility. Now, the mystical element of the language of mathematics begins to move from the realm of metaphysics to the realm of quantum physics. Thus it has been and continues to be in the battle of practical science versus the mystical occult. Every time the “rationality of science” sets out to disprove the “metaphysical”, science invariably ends up proving something of an even more magical nature and often does so through the “language of mathematics”. The fact that you can read this on your computer is a perfect example of how science uses the language of mathematic. Computer programs are written in binary code, which consists of two numbers, 0 and 1. No matter how complicated a program is, the computer programming language running that program is a mathematical language composed of strings of 0’s and 1’s that creates the “virtual reality” that exists in the virtual universe within your computer. Additionally, from the mystical perspective, the Chinese “I Ching” or “Book of Changes” attempts to elaborate on the nature of existence through a set of mystical axioms divined from the delineation of combined sets of broken and/or unbroken lines. In essence, these "I Ching" hexagrams are mathematically attempting to explain nature by using a binary code similar in terms of computer programming language.